Depression is a common disease worldwide. WHO (2017) has estimated more than 300 million people in the world suffer from depression. It is estimated that 20% of the world population have experienced major depressive disorder in their life that is associated with low mood, mood fluctuation, loss of interest, hopelessness, changes in appetite and sleep. Depression also can occurred sub clinically and affect daily performance. Now, a treatment for depression is based on pharmacological agent that has many side effects such as headaches, nausea, agitation and sedation [1-4]. In the last decade, studies exhibited that gut microbiota may play an important role in normal physiology and thereby influences brain development, behavior and mood. It is well documented that disturbance of gut microbiota balance has been associated to many metabolic disorders such as obesity, diabetes and neuropsychiatric conditions including anxiety and depression. Studies revealed that disruption of the gut bacteria balance or dysbiosis may occur as the result of antibiotics usage, medical treatments, poor hygiene food and water, synthetic preservatives, gluten, herbicides and stress. Stress also increases intestinal permeability, which permits bacteria to cross from the gut into the bloodstream and lead to an immune response. Several cross-sectional studies confirmed there is a correlation between gut microbiota and mental health, but the newest and possibly most interesting way of microbiome manipulation, is supplementation with psychobiotics. Based on the latest research psychobiotics are live microorganisms that if ingested in sufficient amounts can positively affect the brain and benefit anyone suffering from chronic stress, poor mood, or anxiety-like signs. Before this definition psychobiotics were used as an alternative treatment just in “Patients” with psychiatric disorders who dislike to use chemical treatments [5,6]. There are three suggested mechanisms for probiotics effects on mental health: The first way is referred to the probiotics ability in secretion of neurotransmitters such as gamma-aminobutyric acid (GABA), serotonin, catecholamines, and acetylcholine in the gut and notice brain function and affect behavior. Studies indicated that a considerable portion of brain chemicals like serotonin, GABA, dopamine, and acetylcholine produces in the intestines by gut microbiota [2,3,7-9]. The second way of psychobiotics to battle with stress is by altering adrenal glands. A structure is in human body called hypothalamic-pituitary-adrenal (HPA) axis that becomes dysfunctional in situation of chronic stress or disease. When body faces an abnormal and stressful situation, production of cortisol and other stress-related hormones, started following the HPA-axis disorder . The third approach of psychobiotics is through their anti-inflammatory actions. When an inflammation occurs, inflammatory transmitters elevated throughout the body and brain and causes depression and other mood and cognitive disorders. Psychobiotics may have their effects in the brain by lowering inflammation. The important issues about using probiotics in mental disorders are the starin and their dosage. Lactobacillus and Bifidobacterium are the most popular probiotics respect to mental health. Earlier research suggested that administration of Lactobacillus rhamnosus (strain GG) in diet can reduce anxiety in humans through shifting the expression of GABA receptors. Studies showed that Lactobacillus plantarum (strain PS128) can cause positive changes in emotional behaviors and significantly reduce anxiety-like behaviors through increasing dopamine and serotonin, lowering stress hormone levels, and reducing inflammation . Researchers also have determined that Bifidobacterium longum (strain R0175) and Lactobacillus helveticus (R0052) can reduce cortisol and alleviate psychological distress in humans (including obsessions, compulsions, paranoia, anxiety) via reducing cortisol . Animal research also displays that Bifidobacterium longum (strain 1714) potentially reduce anxiety-like behavior. Lactobacillus reuteri (strain 23272) also diaplayed the ability to reduce anxiety-like behaviors in animals by reducing stress hormone levels and exchanging the expression of GABA receptors . In one double-blind, placebo-controlled trial, has been reported that administration of Lactobacillus casei (strain Shirota) in patients with chronic fatigue syndrome and digestive problems decreased the anxiety symptoms after two months . In another randomized clinical trial in patients with major depressive disorder , consumption of probiotic pills consisted of Lactobacillus acidophilus, Lactobacillus casei, and Bifidobacterium bifidum (2 billion CFUs each) significantly decreased total scores of depression. In an investigation changes in the brain activity in regions that are responsible in control and processing of emotion and sensation following consumption of fermented milk product with a mixture of probiotics, including Bifidobacterium animalis, Streptococcus thermophilus, Lactobacillus bulgaricus, and Lactococcus lactis for 4 weeks was observed . It is obvious that many factors can influence the results of these studies. Method, sample size, probiotic strain, length of intervention and dosage are factors that vary in the trials [11-13]. Despite these preclinical data, still there are many unclear issues in preferring or choosing probiotics as alternative agents in treating mental disorders. Another question is their ability in alleviating daily stress. Further research with focus on strain, dosage, duration of treatment and nature of mental disorder are warranted to determine probiotics’ efficacy for improving mental health. At the end the golden key to answer these questions is to study and compare the composition of gut microbiota using molecular methods in healthy and patient individuals and also before and after probiotic interventions. Bested AC, Logan AC, Selhub EM (2013) Intestinal microbiota, probiotics and mental health: from metchnikoff to modern advances: part II – contemporary contextual research. Gut Pathog 5: 3. Cryan JF, Dinan TG (2012) Mind-altering microorganisms: the impact of the gut microbiota on brain and behaviour. Nat Rev Neurosci 13: 701-712. Wall R, Cryan JF, Ross RP, Fitzgerald GF, Dinan TG, et al. (2014) Bacterial neuroactive compounds produced by psychobiotics. Adv Exp Med Biol 817: 221-239. Ahmadi SH, Jamilian M, Karamali M, Tajabadi-Ebrahimi M, Jafari P, et al. 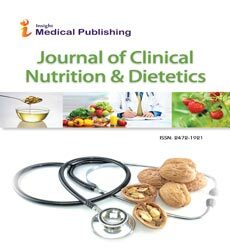 (2017) Probiotic supplementation and the effects on weight loss, glycaemia and lipid profiles in women with polycystic ovary syndrome: a randomized, double-blind, placebo-controlled trial. Human Fertility 20: 254-261. Wei-Hsien Liu, Hsiao-Li Chuang, Yen-Te Huang, Chien-Chen Wu, Geng-Ting Chou, et al. (2016) Alteration of behavior and monoamine levels attributable to Lactobacillus plantarum PS128 in germ-free mice. In Behavioural Brain Research 298: 202-209. Messaoudi M, Violle N, Bisson JF, Desor D, Javelot H, et al. (2011) Beneficial psychological effects of a probiotic formulation (Lactobacillus helveticus R0052 and Bifidobacterium longum R0175) in healthy human volunteers. Gut Microbes 2: 256-261. Rao AV, Bested AC, Beaulne TM, Katzman MA, Iorio C (2009) A randomized, double-blind, placebo-controlled pilot study of a probiotic in emotional symptoms of chronic fatigue syndrome. Gut Pathog 1: 6. Zhou L, Foster JA (2015) Psychobiotics and the gut–brain axis: in the pursuit of happiness. Neuropsychiatric Disease and Treatment 11: 715-723. Montiel-Castro AJ, González-Cervantes RM, Bravo-Ruiseco G, Pacheco-López G (2013) The microbiota-gut-brain axis: neurobehavioral correlates, health and sociality. Front Integr Neurosci 7: 70. Bharwani A, Mian MF, Surette MG, Bienenstock J, Forsythe P (2017) Oral treatment with Lactobacillus rhamnosus attenuates behavioural deficits and immune changes in chronic social stress. BMC Med 15: 7. Smith CJ, Emge JR, Berzins K, Lung L, Khamishon R, et al. (2014) Probiotics normalize the gut-brain-microbiota axis in immunodeficient mice. Am J Physiol Gastrointest Liver Physiol 307: G793-G802.